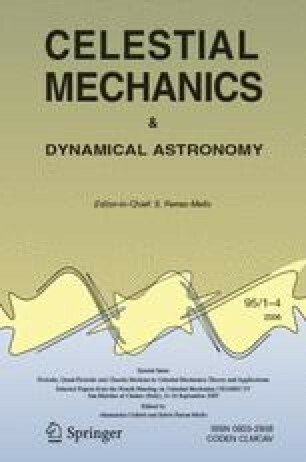 We introduce a model for integrating the effects of Galactic tides on Oort cloud comets, which involves two procedures, according to the values of the osculating semi-major axis a and eccentricity e. Ten simulations of the dynamics of 106 comets over 5 Gyr are performed using this model. We thus investigate the long-term effects of the Galactic tide with and without a radial component, the effects of the local density of the Galactic disk, and those of the Oort constants. Most of the results may be understood in terms of the integrability or non-integrability of the system. For an integrable system, which occurs for moderate semi-major axes with or without radial component, the dynamics is explained by periodic variation of the cometary perihelion, inducing the depletion of the outer region of the Oort cloud, a constant flux from the inner region after 500 Myr, and the quick formation of a reservoir of comets with argument of perihelion near 26.6°. When the system is non-integrable, the efficiency of the tide in reducing the cometary perihelion distance is enhanced both by replenishing the Oort cloud domain from which comets are sent toward the planetary system, and by reducing the minimal value that the perihelion distance may reach. No effects of varying the Oort constants were observed, showing that the flat rotation curve is a satisfactory approximation in Oort cloud dynamics.